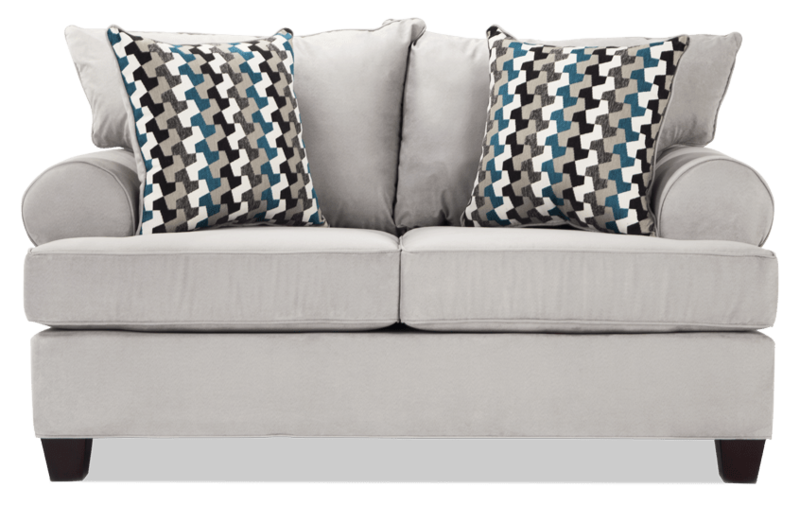 Just think of what you can buy with all the money you saved on this transitional loveseat! 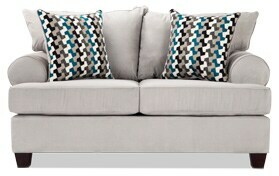 Get comfy and cozy on my Tucker Silver Loveseat! 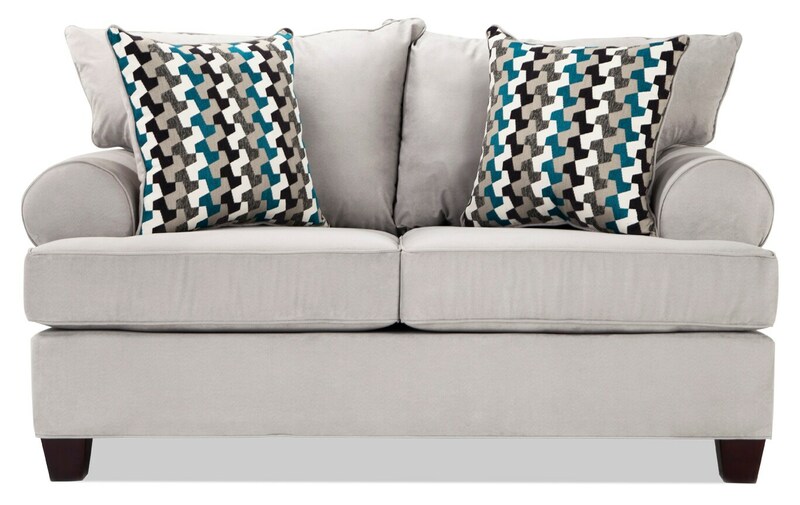 Classic roll arms and plush silver fabric make this loveseat stylish and lounge-worthy. Two eye-catching accent pillows complete the look. Why wait?